I've long been a fan of celebrity interior designer Estee Stanley's work and this darling little girl's room is no exception. When I saw it in Lonny several years ago, I instantly fell in love. The subtle pinks mixed with warm ivories and dark woods make for a sweet and sophisticated space while all of the layers of texture and pattern give it a childish bohemian vibe any little girl would be lucky to call her own. The dark wood ceiling and beams might be hard to replicate in your home, but I've put together a few other items to give you the overall look of this beautiful space... just in case you love it as much as I do. If you're like me, you're a sucker for a good Before and After. Who doesn't love to see a room that's not up to par turn into something beautiful? Lucky for us, Lonny Magazine featured quite a few in their October Makeover Issue. I've highlighted a few of my favorites below. Enjoy! Here's his master bedroom. Look how much the room changed by opening up the ceiling and shifting a window. 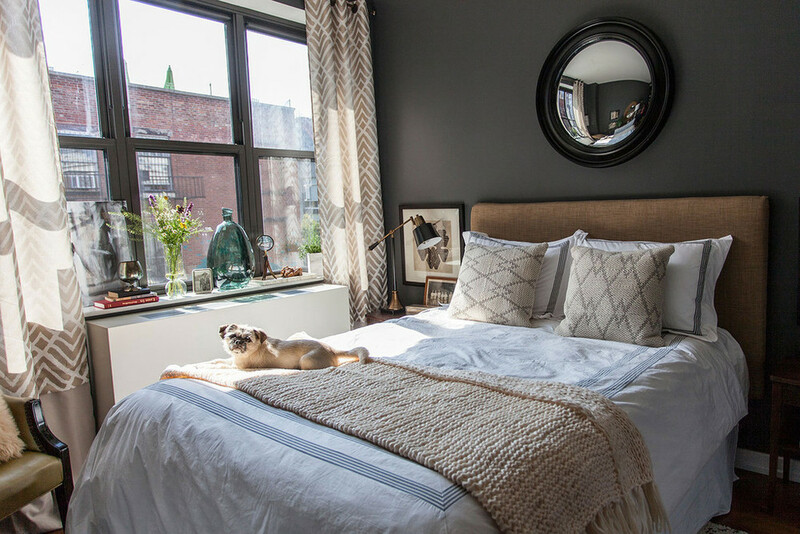 Because we all know how much we love HomeGoods, here's a Before and After Lonny did with one of their associate editor's Brooklyn master bedroom. It has me wanting to go shopping NOW. Those are two different sets of curtains (one solid, one patterned) that were hemmed together to accommodate her tall windows--a great trick for the budget conscious! And we can't forget the beside tables. I need those lamps! Here's a great example of how a rope mirror doesn't always have to go in a coastal theme. I love all of the textures in the After photo. The last one I'll leave you with is the home of Austin designer Elizabeth Mullen. I wish I had a Before of the stairs below. When Mollen and her family moved it, It was covered in carpet from the floor to the walls. 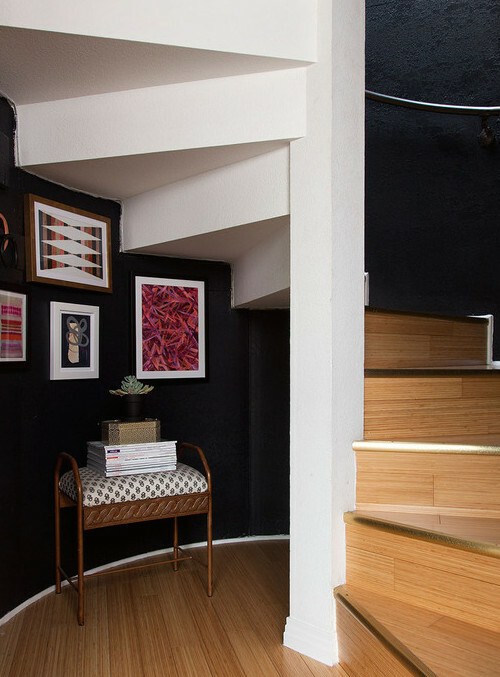 She swapped the threads for a coat of Benjamin Moore's Ebony King, and the transformation definitely looks royal. Lastly, here's a Before and After of her kitchen. I love the new pendant lights and DIY gold dipped stools. Another excellent example of what a little new paint, tile and lighting can do. I hope all of these amazing transformations bring as much inspiration to you as they did to me. To see more on today's Before and Afters and many others, head over to Lonny. You guys have a great weekend, and don't forget today is the last day to enter our Fall Table Give-Away. Good luck! Need help designing a space that you will love? No matter how big or small, we can help. Contact us here about our design services.